With the warmer weather, hummingbirds are beginning to show up here in Northern New Mexico. And while there are still some cold spells here and there, getting your feeders up now will help them along until the weather stays above freezing. They start returning to Northern New Mexico by early April, regardless of weather conditions. Here they mate, build nests, hatch their young, and eat, eat, eat — flower nectar and tiny insects — until they have put on enough weight to endure the long, cold, dangerous fall and winter flight south. Help these amazing birds out by providing them nectar. 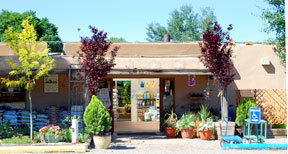 Payne’s has an excellent selection of hummingbird feeders and food supplies. 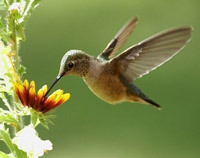 Stop by either location today and start enjoying the the beauty of hummingbirds.